It seems that there is new wave of Ethereum Ether (ETH) mining pools, but the good news is that the next new pool is not operated by some unknown entity, but is instead launched by Suprnova. 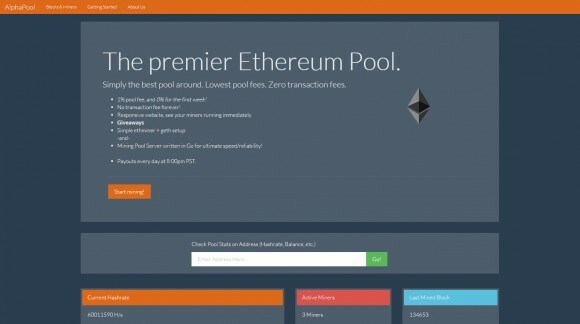 This means a familiar interface for miners that requires registration, but if you already have one for any of the other Supernova pools you can also use it for their Ethereum pool as well. And while the new Ethereum Supernova pool is still in live beta as it is still being worked on, you can expect good quality of service and reliability, as well as response to possible issues. So definitely a place you might want to check for your Ethereum mining pool needs. The Suprnova Ethereum mining pool allows for automatic and manual request of payouts at any time provided that you have a balance of minimum 0.01 ETH and there is a 0.001 ETH transaction fee applied to payouts, the pool fee is 1%. 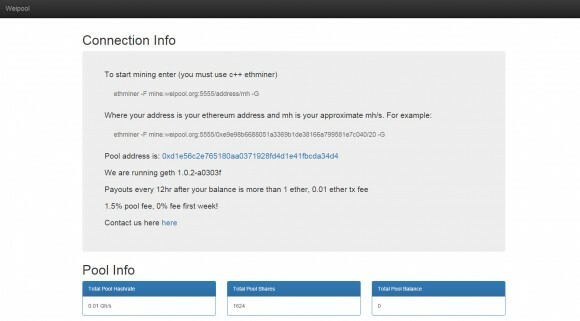 The above command line is an example you can use to get started mining with ethminer at Supernova, you just need to replace the example yourworker.1 with your own worker and the default hashrate value of 20 (suitable for a single high-end GPU such as Radeon 280X) to the respective hashrate of your mining rig and you are ready to go (registration is required for the pool and you need to create workers if you don’t already have). The above example is for mining using the OpenCL version of ethminer, for using the CUDA fork you need to replace the parameter -G with -U and you should be ready to go. If you are new to Ethereum you might want to first check out our Quick Guide on How to Mine Ethereum on Windows as a good starting point. AlphaPool is a new mining pool for mining Ethereum’s Ether (ETH) coins that has just been launched today, bringing the total number of active pools to 5. While it is never a bad thing to have a choice between multiple mining pools, a few days ago there was just one – Ethpool and when it stopped accepting new miners people had to go solo until new pools started appearing. We are still yet to see someone release open source code for a mining pool for Ethereum however. But back to AlphaPool, it promises some nice things to miners, that is why competition is good, no transaction fee and 0% pool fee for the first week then just 1%, there is also no mention of a minimum amount of Ether to be mined before a payout. One drawback however, there is no option for users to set their miner’s hashrate (difficulty) through the miner which can make it pointless for low hashrate miners to try mining at the pool as they may not be able to get much shares solved and submitted. Since this is a brand new pool there are not much miners on it yet, so it may take a bit more time before enough people gather for blocks to start getting solved. The above command line is an example you can use to get started mining with ethminer at AlphaPool, you just need to replace the wallet address with your own Ethereum wallet and you are ready to go. Do note that the URL of the pool and the mining address for it are slightly different. The above line is for mining using the OpenCL version of ethminer, for using the CUDA fork you need to replace the parameter -G with -U and you should be ready to go. As already mentioned there is no user set variable to allow for setting up the miner hashrate (difficulty) through the ethminer command line. If you are new to Ethereum you might want to first check out our Quick Guide on How to Mine Ethereum on Windows as a good starting point.